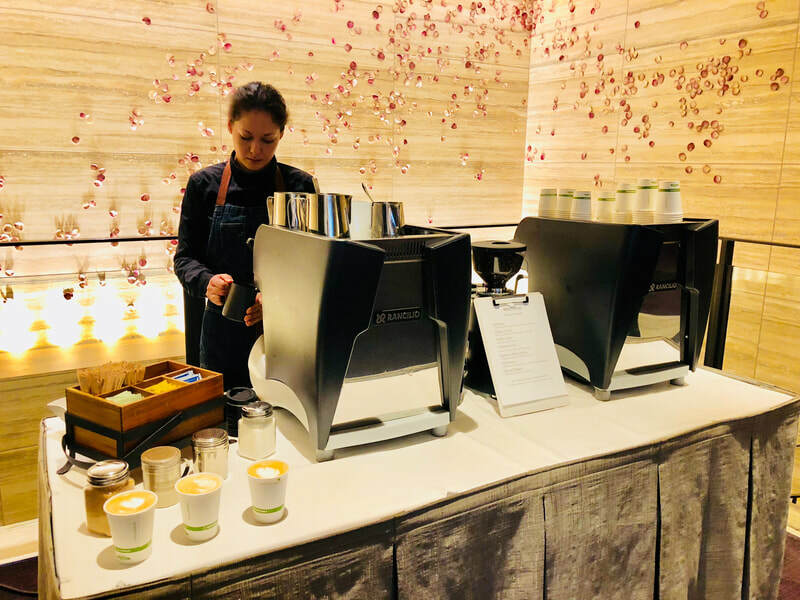 Espressions provides full espresso bar service for events of all types and sizes throughout the San Francisco Bay Area. Our exclusive, decorative espresso bars fit nicely on a single banquet table, adding a touch of class and sophistication to any setting. We use fresh, locally micro-roasted, organic, fair-trade espresso beans, locally produced organic milk, and 100% compostable cups and lids. Looking to promote your brand? Place your logo on the menu, coffee cups, napkins, aprons, and more. We can also make custom logo coffee bags for your guests. Whether you are planning a small board meeting or hosting a conference for thousands, Espressions will help you take your event to the next level. 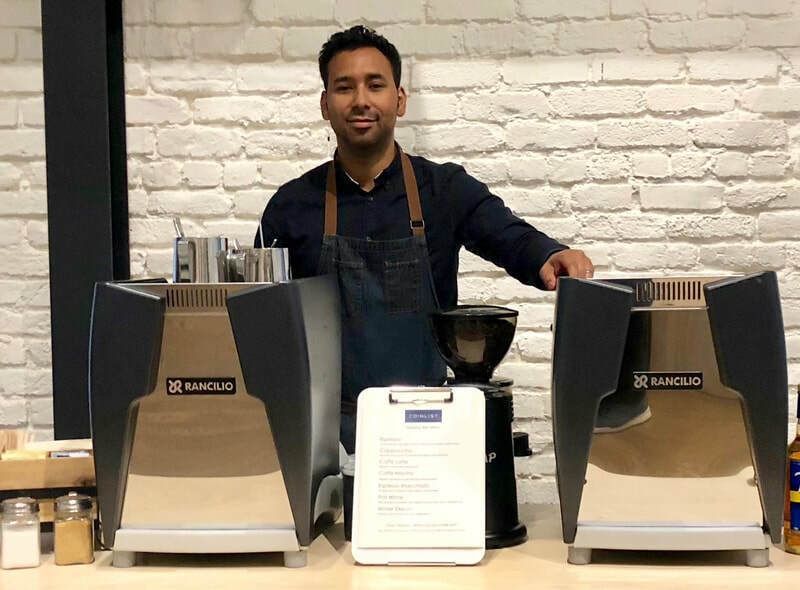 Increase associate engagement and productivity by having expert baristas serve complimentary espresso beverages to your associates right in your office. 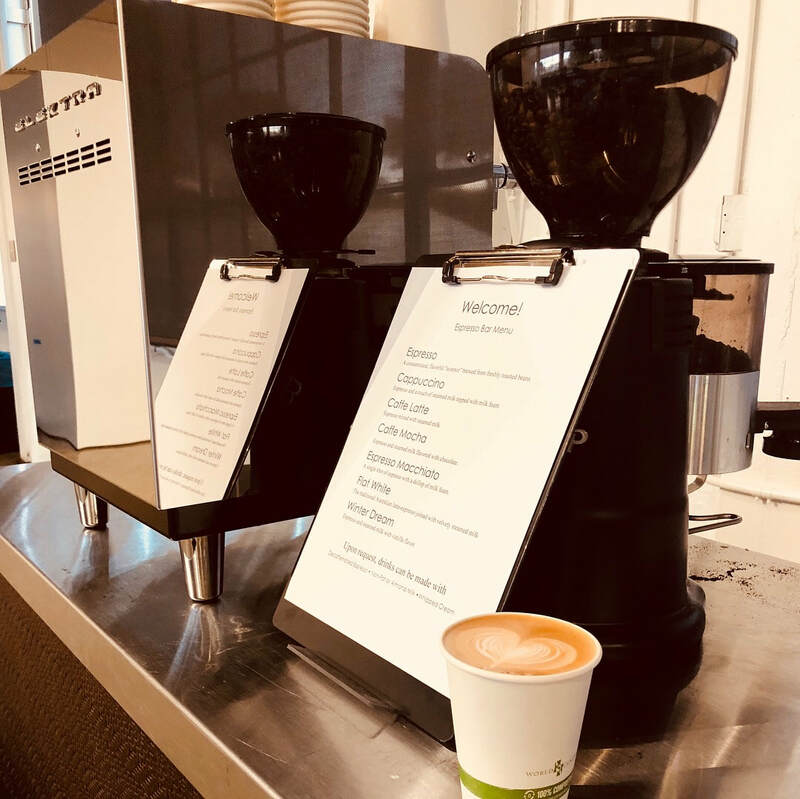 Espressions will set up a custom espresso bar and provide daily, weekly, or monthly service for your team. 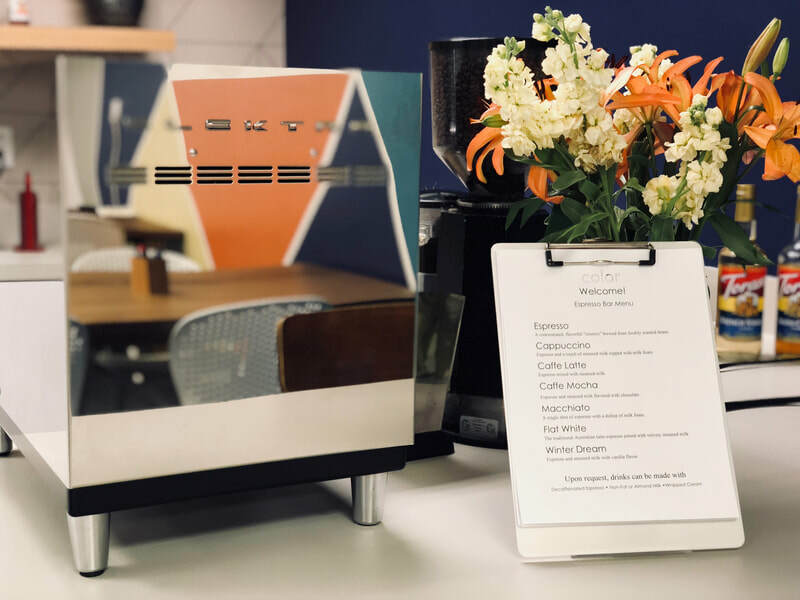 Your staff will enjoy the benefit of free, hand-crafted espresso beverages without having to leave the office. You will enjoy increased productivity, higher associate satisfaction, and reduced turnover. Pricing is based on the number of associates in your office and hours of service. Contact us for a detailed proposal and complimentary tasting.